Her appearance was first announced by local promoters Live Nation Israel, who said the performance would be “both historical and hysterical”. Madonna’s press team confirmed the news to the BBC, but Eurovision organisers have downplayed the story. “No final decisions have been made, or agreements signed,” said the EBU in a statement to the BBC. Reports in the Israeli press suggested organisers had reservations about the content of Madonna’s performance. The star has recently been teasing new music on social media and was spotted filming a music video in Portugal towards the end of last month. Rumours she would play at the Eurovision Song Contest in Tel Aviv have been circulating for months; and were apparently confirmed on Monday via the Facebook pages of Live Nation Israel and Bluestone Entertainment, which is co-owned by Madonna’s manager Guy Oseary. They added she would “perform two songs, including a new song from her upcoming album”. The singer has a long association with Israel, and launched her MDNA tour in Tel Aviv in 2012. But an appearance at Eurovision could prove controversial, as other musicians – including Pink Floyd’s Roger Waters – are calling for the contest to be boycotted on human rights grounds. The show is being held in the country after Israeli singer Netta won last year’s contest in Portugal. 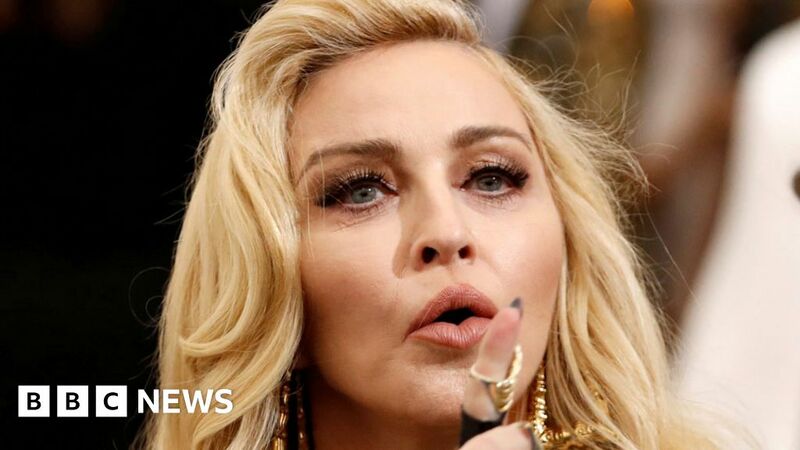 Madonna’s performance is expected to cost around $ 1m (£765,000), which will be covered by Canadian billionaire Sylvan Adams, who has financed large-scale events and concerts over the last few years as a way to support Israel and battle boycott movements. “I’m excited and proud to host Madonna in Israel,” Adams said in a statement to the Jerusalem Post. Although the interval performance is typically staged by local artists, Justin Timberlake was invited to play a medley of hits when Sweden hosted the competition in 2016. Reality show winner Michael Rice will represent the UK in this year’s contest, performing a track called Bigger Than Us.